How to maximize your sales time in oil and gas. All right. Today, we’re going to talk about eleven tips to help maximize your sales time in oil and gas. Number one. And I have trouble with this one a lot, just say no, especially if you’re a people pleaser. A lot of people are going to ask you to do a lot of things and what happens is you end up diverting your time doing stuff that’s non-productive, it’s not good for your sales efforts. You have to learn how to say no. And you can say no in a way that’s respectful and where it doesn’t aggravate people, but learning how to say no is one of the best ways to free up time for you to actually increase your oil and gas sales. Number two. Focus on the bigger issues especially if you’re a task master. You can get caught up spending time with smaller issues and wanting to bring them to completion. Instead of stopping and going to deal with those later and spending the time where you move the needle the most. So, where in your sales efforts do you need to spend most of your time? Concentrate your time there and always focus on the bigger issues. Number three. And this a big one. Blockout time in your calendar. Everything that you need to do in a day should be in your calendar. And that includes things like going to lunch, working out, phone calls, etc.. If you don’t block that stuff off of your calendar, number one it’s not as real to you and number two especially if you work for a large company, people will look into your calendar and see that you have all these open space. And here is a tip that you may not want to tell your boss or your sales manager. If you need time to really buckle down on a big project, blackout the whole day in your calendar. Just call it a “sales meeting”. Because it really is a sales meeting even though it’s with yourself. And this way people will leave you alone you can get stuff done. Number four. Stop multitasking. 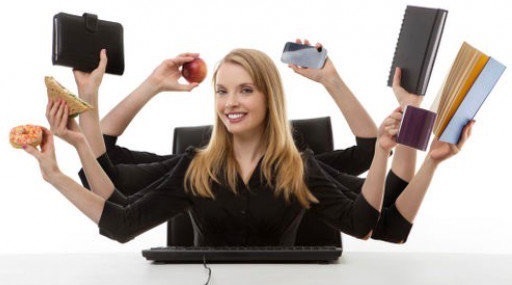 You really cannot multitask well. When you multitask, you divide up your attention on bunch of little things and you give each thing a sliver of your attention. You’re much better off especially, if you’re worried about the quality of your work to focus all of your time on one thing at a time. That way you can give it your full attention and get it done, and get it done well. So, stop multitasking to maximize your sales time in oil and gas. Number five. And I’m guilty of this myself. Turn off the tech. When you need to think about something, when you need to have an important phone call, when you need to have a one-on- one or face-to-face meeting, put your cell phone on do not disturb. Turn off your e-mail notifications, turn off all the social media notifications. All that stuff distracts you and it keeps you from giving a hundred percent of your true self to whatever you’re trying to deal with. So, turn off the tech. Number six. Have an e-mail spot. We’re all inundated with e-mails. I personally get somewhere between a hundred twenty five and two hundred every day, and just having to go through all that stuff can be a big time waster. And just like you, probably 85% or 90% of them aren’t anything I need to do something with, but I have to read them in order to figure that out. So pick a spot whether it’s a spot in your office, a Starbucks, a spot in your home, and give yourself a time limit. We typically do this in the morning or in the evenings where we sit down and slug through all the e-mails. But if you have a physical spot your brain will know that you can work on e-mails which means that when you leave that spot, you’re not worried about that and you can focus on the really important things. Number seven. Here’s a big one. During non-productive times, think car commutes, working out, traveling on an airplane, all that sort of stuff…learn. Warren Buffet’s famously said, “the more you learn the more you earn”, and it’s true. And there’s a whole wide range of audio books and podcasts that you can listen to during these non-productive times and you can learn. If you’re a sales person, you need to learn your client’s industry as good or better than them and I promise you you can do it during these non-productive times. Number eight. Master delegation. You’re a sales professional, you bring money into the company, you’re one of the few people that do that. Which mens you’re vital to your company’s success. You probably had this whole support organization of admins, marketing people, sales engineers, product development people and others. So stuff that’s not important to your sales efforts push off your plate, and find the right person in your company and delegate to them. This will really help maximize your sales time in oil and gas. If you’re a smaller company and you don’t have these resources, think about picking up an intern or virtual assistant. For $8 and $15 an hour, they can do a lot of these stuff for you and you can spend your higher dollar time with things that are much more important like closing deals. Number nine. Sleep rules. I knew a lot of you out there are trying to burn the midnight oil, you don’t get enough sleep and you get up early. You can only do that for so long and your performance degrades. You have to make sure you get enough sleep. If you get enough sleep your body is allowed to heal, your brain is totally recharged, and you’re sharp and in your A game. Another great way to maximize your sales time in oil and gas. You Have to Sharpen the Saw if You Want to Maximize Your Sales Time in Oil and Gas. Number ten. And you’ve heard me tell you this before. I got this from Stephen Covey, Sharpen the Saw. That means exercising and eating right. I know, I know, I fall in that same trap that you are in. In the oil and gas every deal involves a meal and a drink or two. That’s the culture of our industry. But, that is a bit of an excuse. I’m going through this right now myself, where I allowed myself to put about 25 lbs of body fat. The truth is I can still go out to eat with clients and still eat right. I’m doing it now. So, the proof is in the pudding. Number eleven. Sometimes you need to stop and take a break. We all live such busy hectic lives and sometimes you can’t think stuff things through clearly. Get up. If you’re in a cubicle, get up and walk around the office. Go outside take a walk. Jump on the treadmill. Disconnect for ten or fifteen minutes to allow you to kind of recharge mentally so you can come back and be just super sharp. This will maximize your sales time in oil and gas. Now, we went through eleven things really quick on how to maximize your sales time in the oil and gas. If you like this, can you do me a favor and share it? There’s some social share buttons right here makes it really easy, just click on it. Then just take our blog post and e-mail it to any of your fellow sales and marketing people that may benefit this. And then you should all know this by now, but if you don’t know this we have the number one and number two podcast in the oil and gas industry. Oil and Gas This Week and Oil and Gas HSE. And we have plenty more podcasts coming down the road. So, we’re going to stick some links in the show notes. If you haven’t started listening to the podcast, remember what I said about learning during non-productive times, we can help you with that. Go check them out, might be valuable to you.